St Anne’s Vineyards in Myrniong is a Victorian winery makes and sells the wine. They are also known as the wedding reception venue for the natural and candid winery weddings. It can seat up to 200 guests in the Spacious Willows Room. St Anne’s Vineyards has two options for the wedding ceremony. The Quaint Bluestone Cellars can have 100 people comfortably seated. If you prefer the outdoor ceremony, the courtyard set amongst the beautiful garden would be another great option for the bride and groom. St Anne’s Vineyards has diverse opportunities for wedding photography. The manicured gardens, the barrels and Intimate Vines Room are just a few options for the bride and groom to take their wedding photos. St Anne’s Vineyards also offer fantastic accommodation onsite. This will make your wedding day runs seamlessly and stress-free. The award-winning wines along with the beautiful food from the amazing chief will ensure you and your guests have a truly inspirational experience. 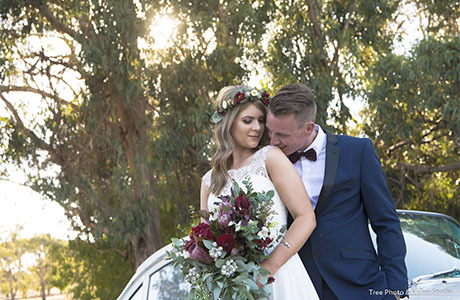 From a Melbourne wedding photographer’s perspective, St Anne’s Vineyards is definitely one of our favourite wedding reception venue. Should you have any questions to plan a wedding at St Anne’s Vineyards, please do not hesitate to contact us for the suggestions and information from a wedding photographer’s view.